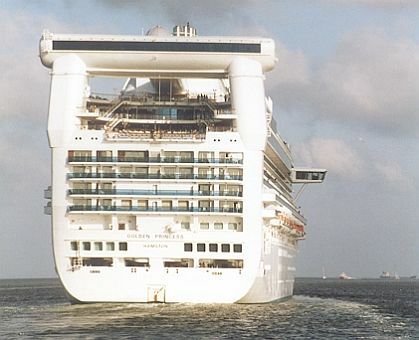 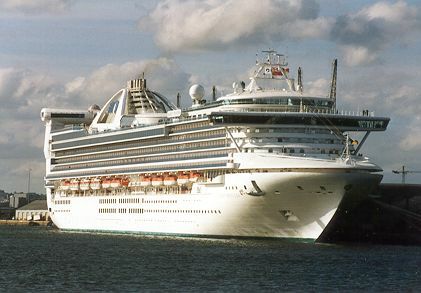 This page is devoted to photographs and postcards of the Princess Cruises vessel Golden Princess, leaving on her official Maiden Voyage from Southampton to Barcelona on May 16th 2001 (she had actually completed a few shakedown "cruises to nowhere" before this voyage). 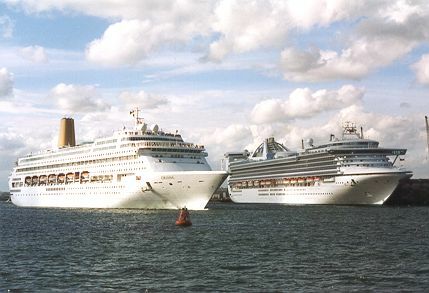 She left Southampton shortly after 6pm, but her departure had been preceded by a 5pm departure of Oriana, giving the opportunity to photograph both ships together. 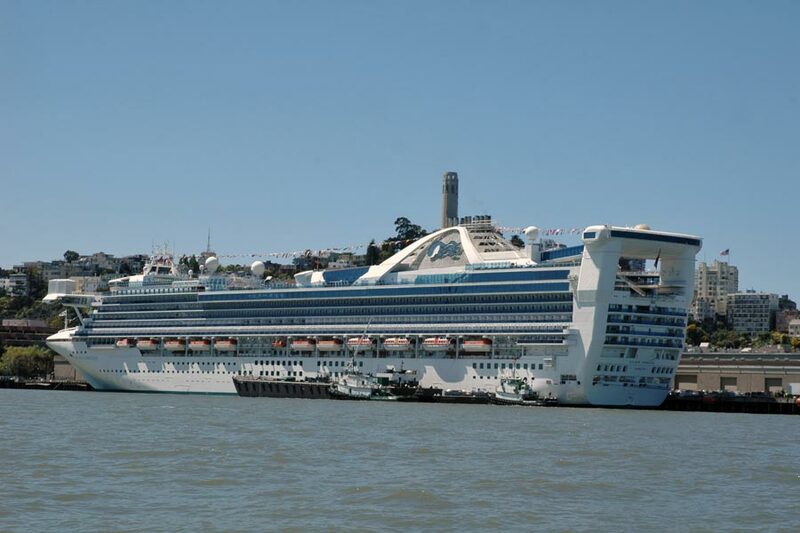 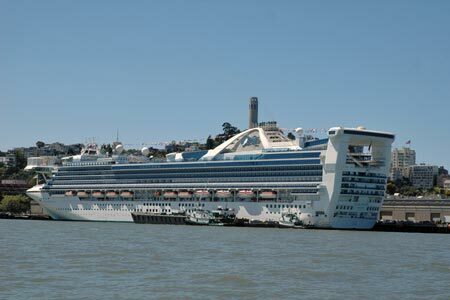 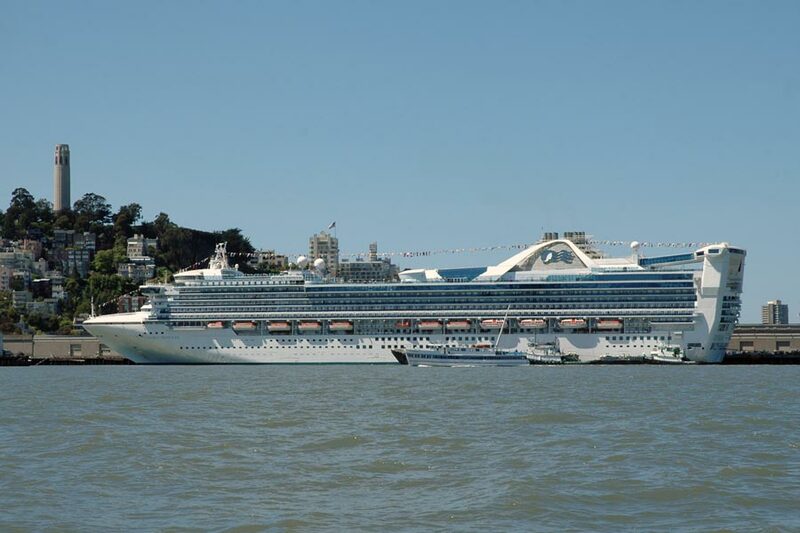 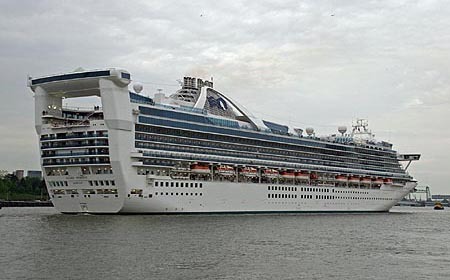 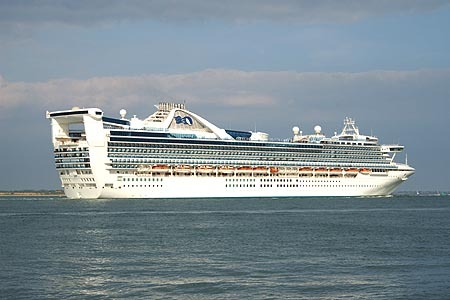 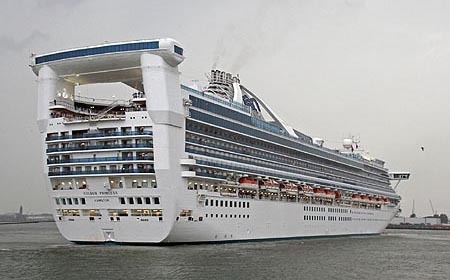 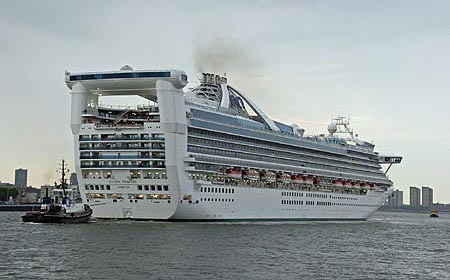 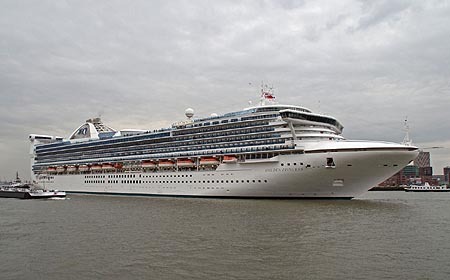 Golden Princess was built by Fincantieri of Venice, Italy and weighs 108806 gross tons. 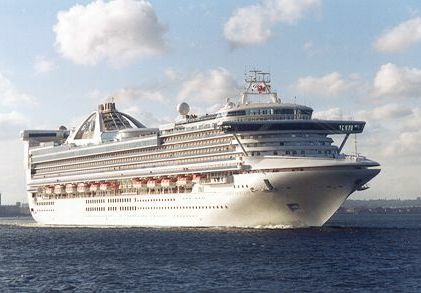 She is 289 metres long, carries 2592 passengers (3300 max) and has a crew of 1100. 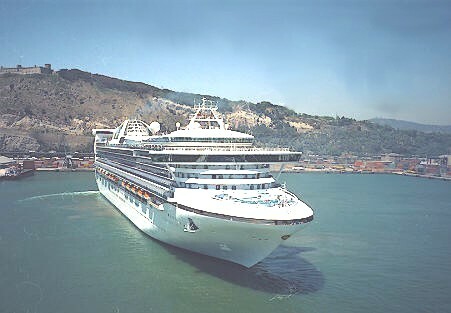 Golden Princess takes over the Grand Princess itinerary of Barcelona-Istanbul cruises in summer and Caribbean cruises in the winter. 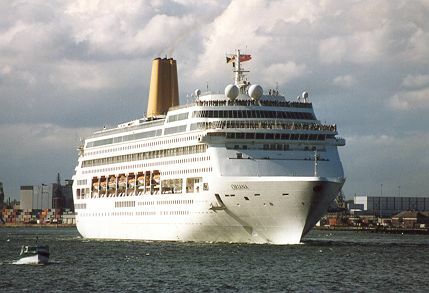 Oriana was built by Meyer of Papenburg, Germany in 1995. 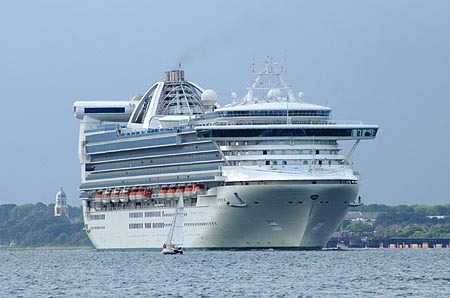 She weighs 69153 gross tons, is 260 metres long, carries 1760 passengers and has a crew of 760. 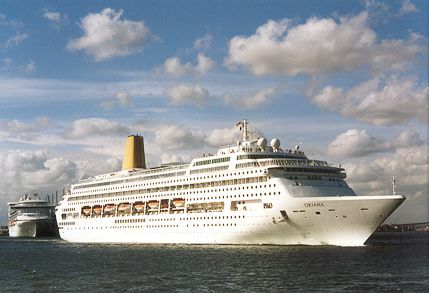 Oriana operates a varied selection of cruises from Southampton including one world cruise each year. 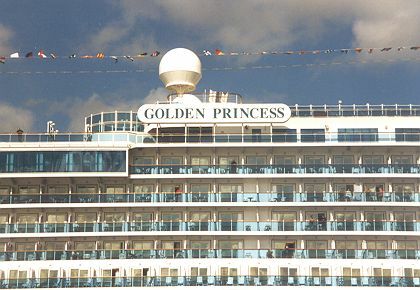 The first official card of Golden Princess uses the same image as a previous Grand Princess (use of a magnifying glass even shows the name as Grand Princess). 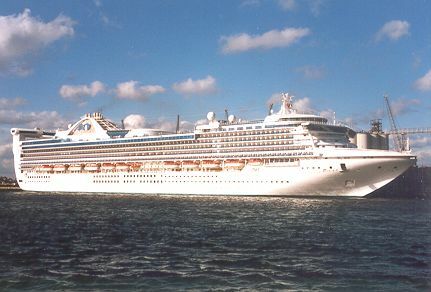 Golden Princess is the second ship in the 108000grt Grand Class, and replaced Grand Princess on her Mediterranean and Caribbean itineraries. 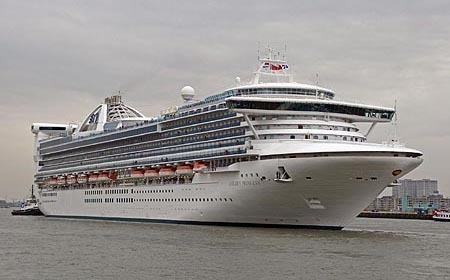 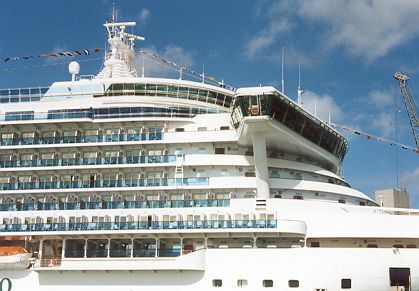 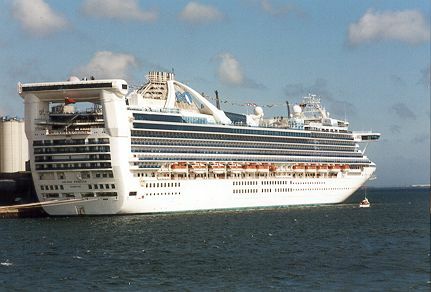 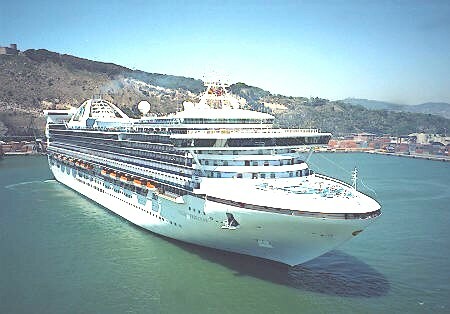 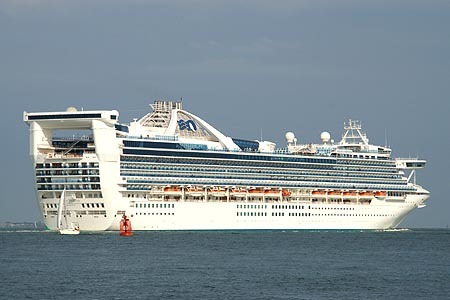 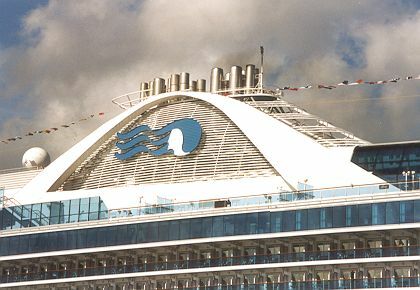 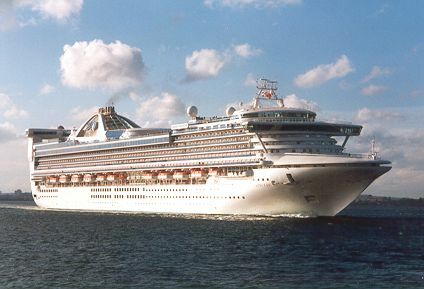 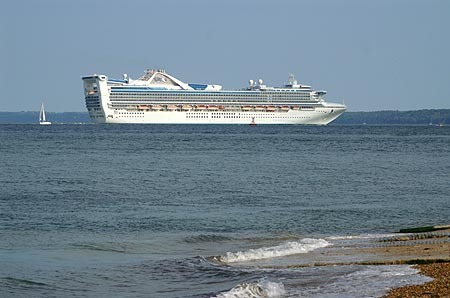 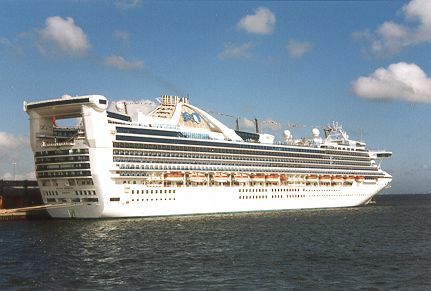 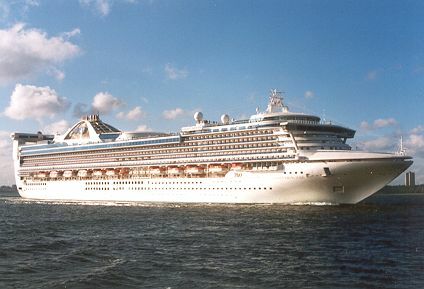 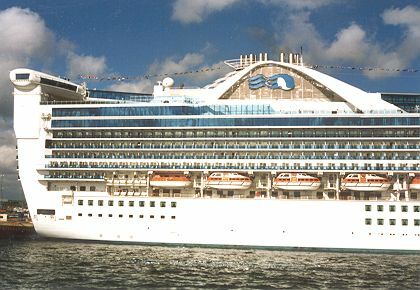 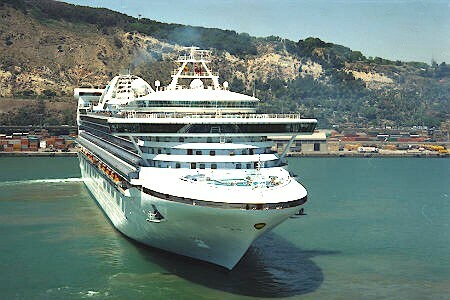 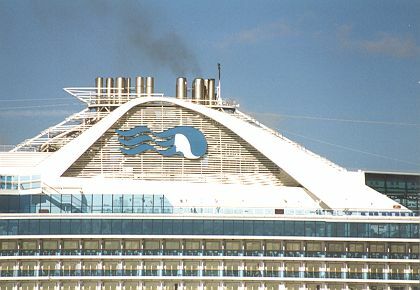 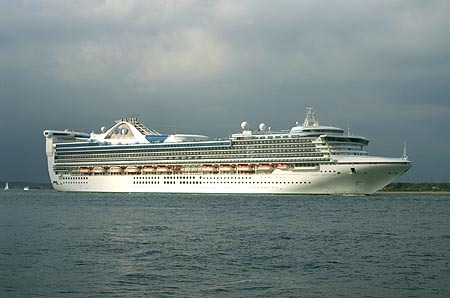 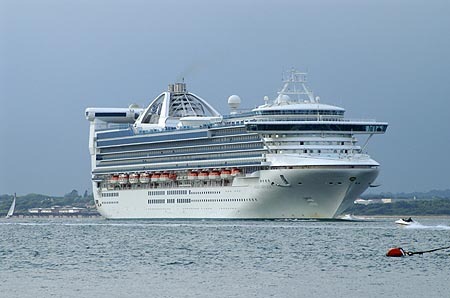 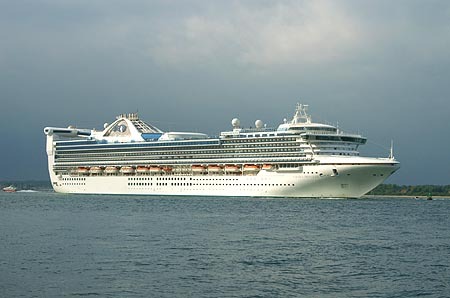 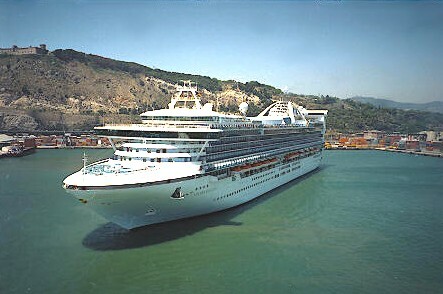 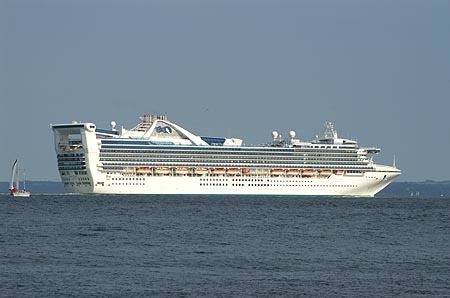 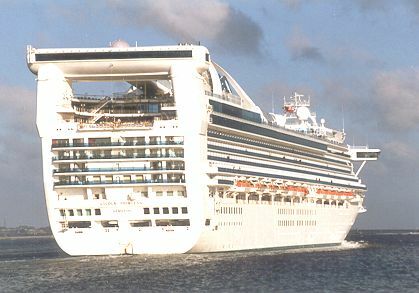 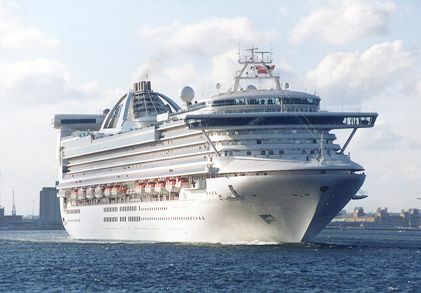 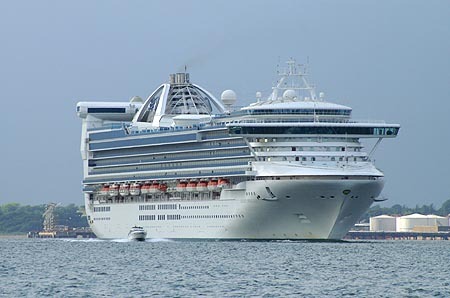 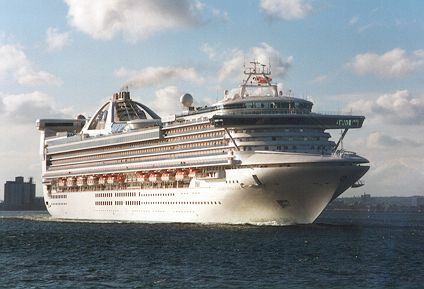 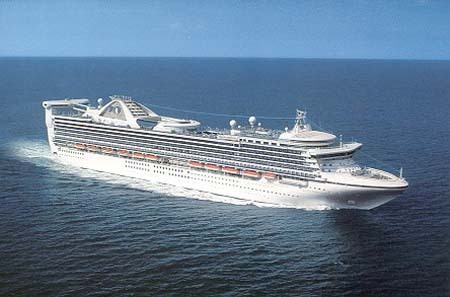 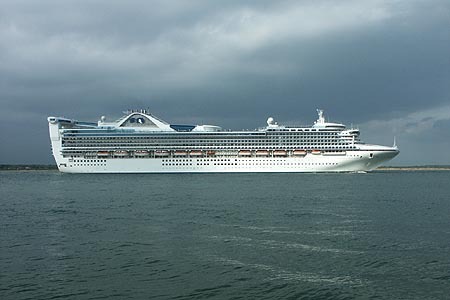 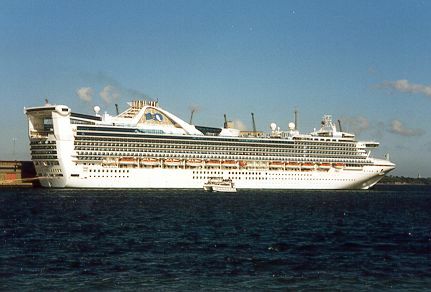 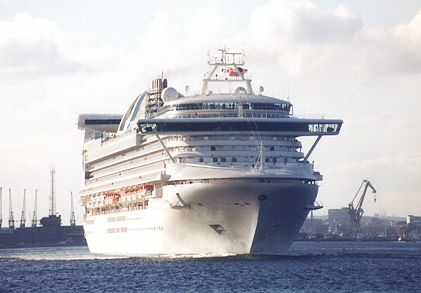 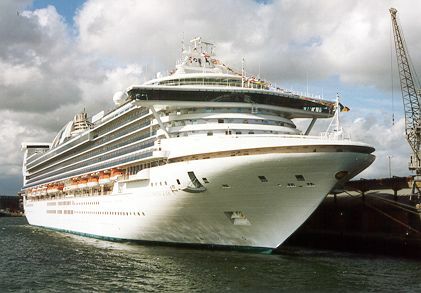 The third sister, Star Princess, was delivered in 2002, and initially operated out of LA to Mexico. 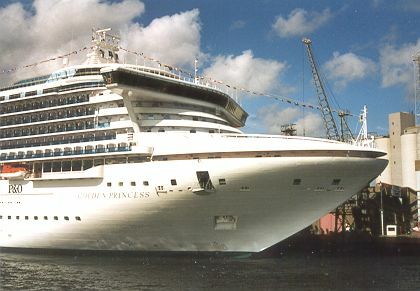 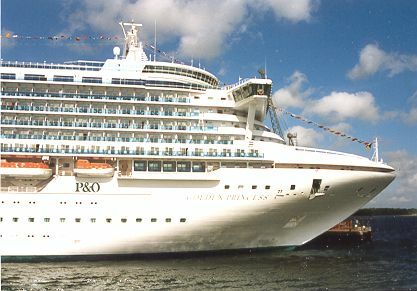 Golden Princess left on her official Maiden Voyage from Southampton to Barcelona on May 16th 2001 (she had actually completed a few shakedown "cruises to nowhere" before this voyage). 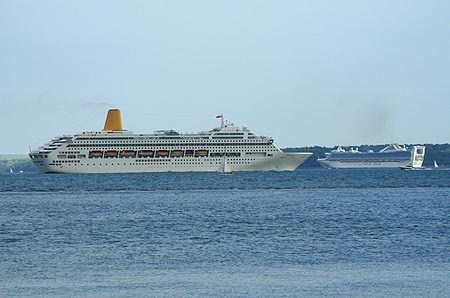 She left Southampton shortly after 6pm, but her departure had been preceded by a 5pm departure of Oriana, giving the opportunity to photograph both ships together. 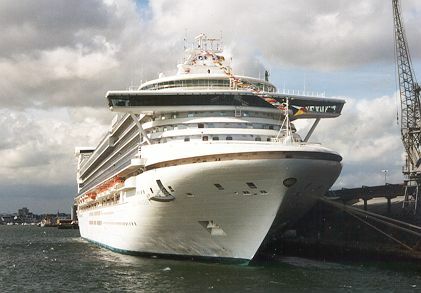 Photos: &COPY; Ian Boyle, 16th May 2001. 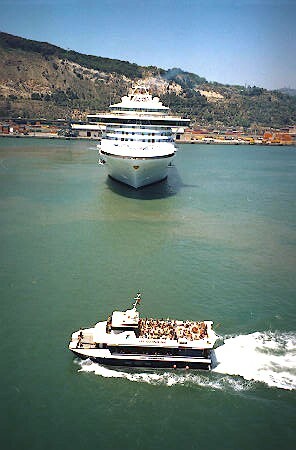 Photos: &COPY; Cees de Bijl, 20th May 2005. 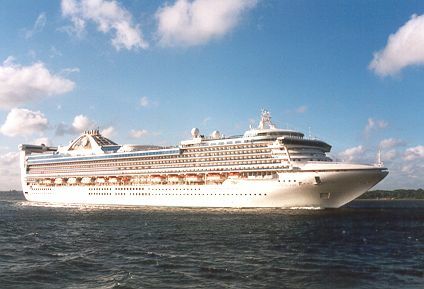 Golden Princess leaving Southampton on 11th June 2005, seen passing Calshot Spit at the end of Southampton Water. 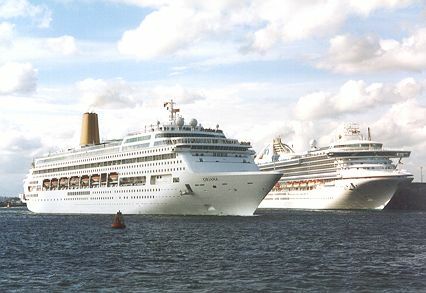 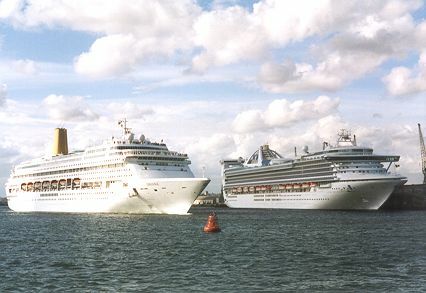 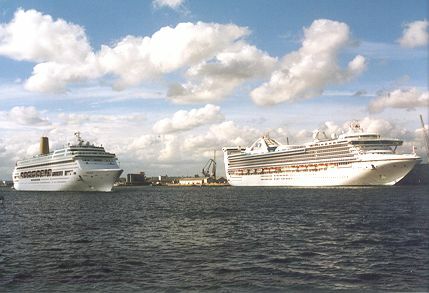 The final picture below shows Oriana, which had followed Golden Princess down Southampton Water, with the Golden Princess in the background. 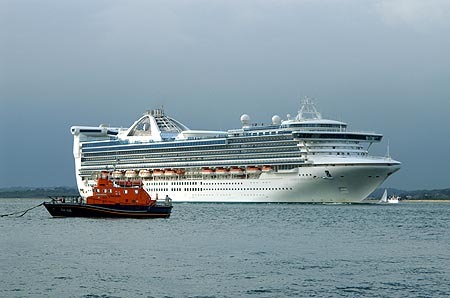 Photos: &COPY; Ian Boyle, 11th June 2005.